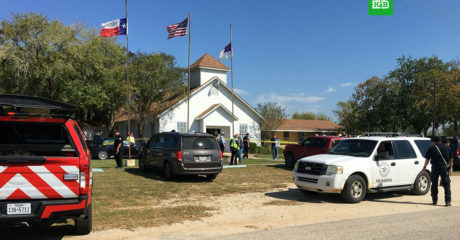 Americans witnessed another mass shooting Sunday, with at least 20 dead and 24 hurt in a church in a small town in Texas. A newspaper report says a two-year old is among the wounded. Worshipers were about half way through a service in at the First Baptist Church in Sutherland Springs, about 50 kilometers from San Antonio, when a man began to shoot people. Police say the unidentified gunman also died. “May God be with the people of Sutherland Springs,” President Donald Trump tweeted.